People are asking their engineers about earthquake safety and vulnerability of their dwelling or owned structures. 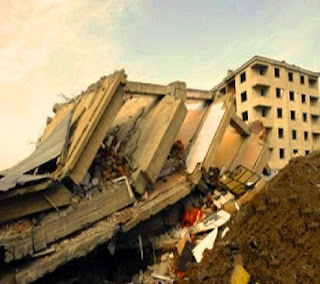 But we have seen structural collapse of huge commercial building without any influence of earthquake (24th April, Rana Plaza, Savar, Bangladesh). We will discuss technical issues of this structure; not political, administrative or legal factors. This building was used as garments factories of several owners with markets and office spaces for institutions like bank etc. Being commercial building, to have uninterrupted electricity supply, several generator were used there. BGMEA confirmed that during collapse 3122 workers were working and a total 5000 workers were employed in different floors of garments factories. 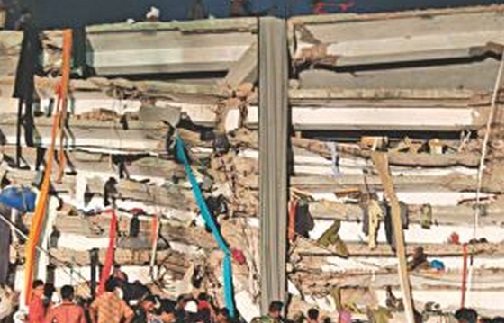 The rest workers do not joined work due to panic of cracks observed 23 April, the day before collapse. Now come to the point earthquake. The construction industry of Bangladesh is not quite good. Here workmanship of worker is low and also many owner and construction contractors are looking for cheap, low quality work for more savings. Many building of the major cities like Dhaka and Chittagong (not considering suburban or rural areas) were constructed and still constructing disobeying rules of local and government authority. 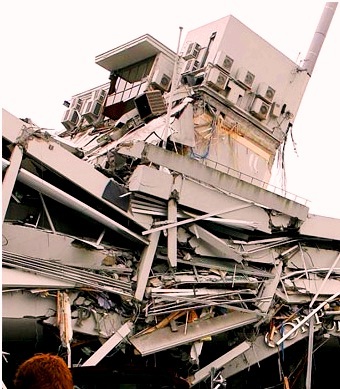 Dear audience the image above was taken from the collapse in Christchurch earthquake, which resembles somewhat to rana plaza. The difference is that there was a release of huge strain energy due to deformation of plate boundary below South Islands (Australian plate and Pacific plate). The energy released by this earthquake was 6.3 (in magnitude scale). In savar not such agitation was felt. The structure was collapsed due to service loads, unexpected vibrations and its own weight. The next image below was taken from Erics, Turkey; this failure seems more close to savar collapse. But this collapse was also associated with an earthquake of magnitude 7.1. The last figure was taken from Mexico City. Here we can notice that bottom five floors were sandwiched. 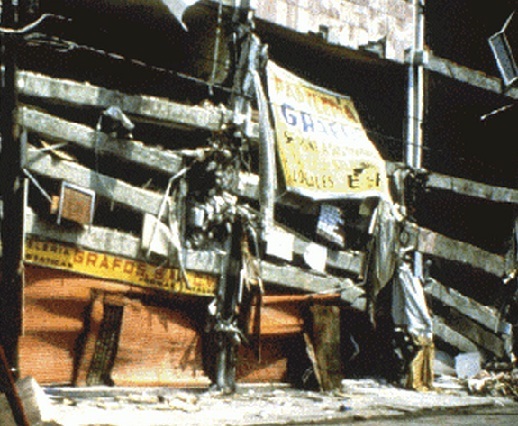 But this was due to one the great earthquake of the world; Magnitude 8.1 Mexico earthquake. The bottom floors had mass irregularity and sandwiched. The structural irregularity and system limitation are published in this blog; you can visit this post for more information. We can conclude about rana plaza that there was instability in foundation, mass irregularity, inadequate confinement in joint of members (lack of ductility) poor construction materials and more prominently the lust of owner to be richer. Now we are sharing some images of rana plaza collapse below. The structural weakness of this death trap will be discussed in our next post. Till then good bye.